Grand Design RV has continually built their RVs with the highest in quality features and design. Skimping is just not in Grand Design RVs vocabulary — and the Reflection fifth wheel lineup is proof. 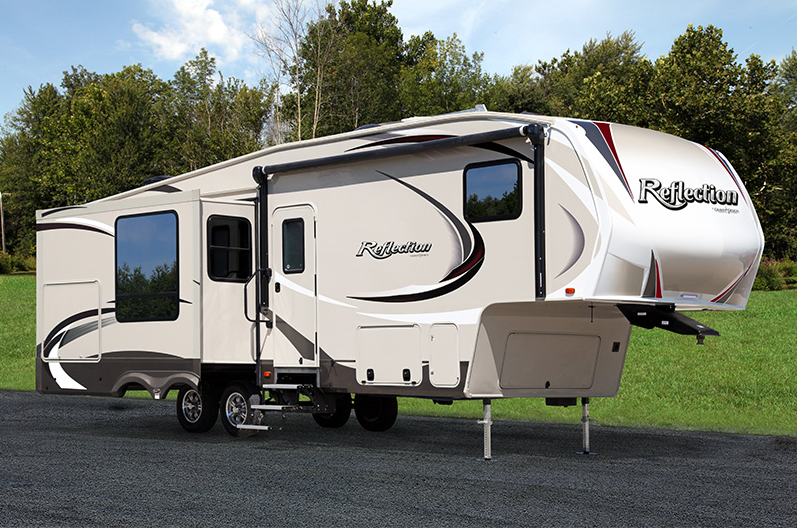 Constructed with a gel-coated fiberglass exterior and built with an aerodynamic front cap, Grand Design RV Reflections are durable and sturdy tows. And with its Aqua Flex rubberized suspension and Correct Track axle alignment correction system, you know you’ll be towing steady for years to come. While a safe tow is enough reason to choose a Reflection fifth wheel, just wait till you see the interior of this beautiful lineup. With standard interior features such as hand rubbed maple cabinetry and solid surface countertops, the interior is just as durable as the exterior. But it’s the fine touches that set the Reflection apart from the competition. 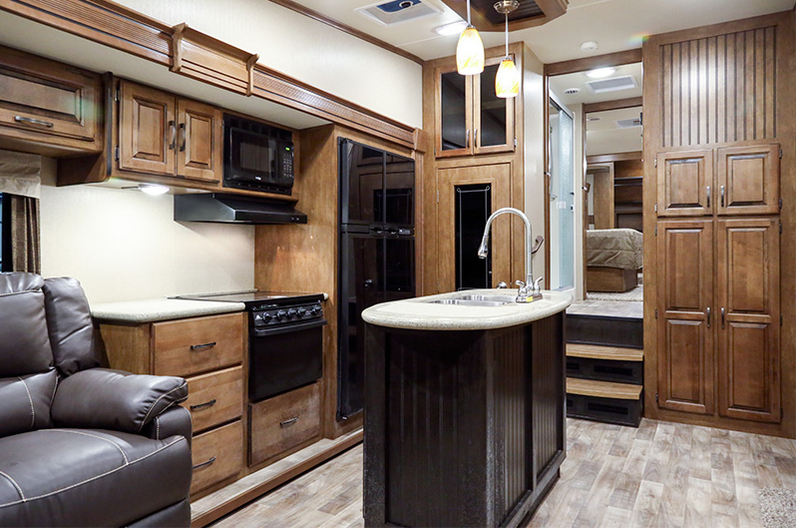 Residential appliances, leather wall-hugger furniture, and a plush Black Label mattress all come standard in this fifth wheel. And if you need a little extra luxury, choose upgrades like a king sized mattress and spacious super sofa to spoil you just as you deserve. As if safety and style were not enough reasons to take a closer look at a Grand Design RV Reflection fifth wheel, when you choose to travel in this fifth wheel, you know you won’t be traveling alone. With an amazing community of owners, and Grand Design RV’s open lines of communication with customers, the amount of support you’ll receive is incomparable. Ready to join a great community and hit the road in your own stunning Grand Design RV Reflection fifth wheel? Visit Duluth, MN today to take a look at our newest arrivals. With the inventory to give you a variety of options, and the helpful staff to answer your questions, you know you’ll be getting the best for your buck when you choose Bullyan RV for your Reflection fifth wheel purchase.